Tonight is a big night for the the BET Networks. For the first time in BET Hip Hop Awards history live from the red carpet with Shad Moss AKA Bow Wow and Tamika Tiny Harris, kicking off at 7pm . this is a special edition of 106 & Park. We would like to say congrats to Shad on his recent engagement to L&HHNY star Erica Mena. 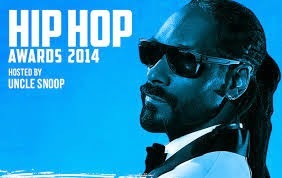 Yes Uncle Snoop is back to host the BET Hip op Awards 2014 that starts at 8pm tonight, the show will be action packed with alot of performances and Celebrity appearances. A special tribute to Mike Brown and of course the awards cannot be complete with out the Cypher. After the Awards Show the hilarious Real House Husbands of Hollywood returns with back to back episodes starting at 10pm.